Our book club was looking for a short, quick read after "Middlesex" by Jeffrey Eugenides. One member suggested "Brain on Fire" and it was quite the hit. Several members read it in a single day. Susannah Cahalan was a successful journalist with the New York Post when she suddenly lost her mind at age 24. Over the course of just a couple weeks, she went from living independently in her Hell's Kitchen Studio to a functional commitment to the epilepsy ward of New York University Langone Medical Center. Doctors came and went, trying to figure out what was causing her fits, outbursts, hallucinations, and severely impaired speech and movement. Part medical mystery, part personal discovery, Susannah rebuilds the month she doesn't remember from video footage from the epilepsy ward and writings and recollections from her friends, family, and doctors. Her journalist background serves her well, and its fingerprints are seen on her investigative skills and writing style. We know she survives, because she went on to write the book, but the book still manages to maintain a sense of mystery around the cause of her illness & the extent to which she will recover. The writing is fast-paced and easy to read, letting the fascinating subject matter shine through. Cahalan's breaking down of medical terms and concepts so that the average reader can understand them is particularly impressive. Verdict: Affirmed. This was a hugely popular book club pick, with nearly everyone finishing it! As we're all close enough to Cahalan's age at the time, much of the book hit close to home. Quite a few of us were thoroughly spooked by the time we finished the book. 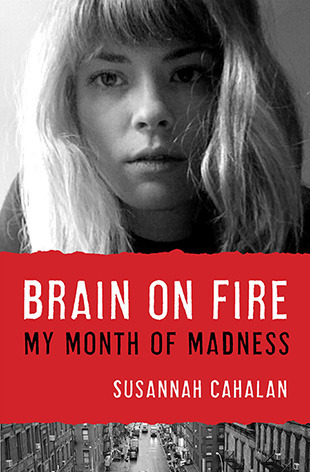 "Brain on Fire: My Month of Madness" by Susannah Cahalan, published November 13, 2012 by Free Press.